Can one woman’s marriage survive her best friend’s divorce? Fans of Veronica Henry and Erica James, this is the next book to add to your reading list. It’s time to get back to where it all began… Octavia Shelton thought she’d have a different life. One where she travelled the world with an exotic husband and free-spirited children in tow. But things didn’t turn out quite like that. Married to safe, reliable Jonathan, her life now consists of packed lunches, school runs and more loads of dirty washing than she ever thought possible. She’s not unhappy. It’s just that she can barely recognise herself any longer. So as Octavia watches her best friend’s marriage break up, it starts her thinking. What if life could be different? What if she could escape and get back to the person she used to be? 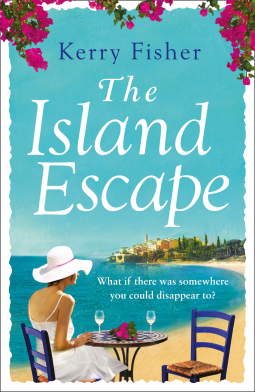 Escape back to the island where she spent her summers? And what if the man she used to love was there waiting for her…? 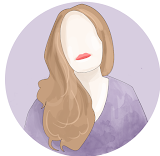 I fancied something a little lighter recently after all these dark and disturbing thrillers, so i scrolled through my massive tbr of netgalley books looking for something that was going to fill that gap. Octavia had always imagined her life would be free spirited, living abroad with children that know mutiple languages and are at one with outdoors, instead she has reliable Jonoathon and three children, non who know any other languages. So whenn her best friends marriage falls apart, and she gets to reinvent herself, can Octavia stand aside and carry on, or does she need to find answers. Octavia just cannot handle life as it is anymore, not when she knows there is more to the world out there. Throwing caution to the wind, when she travels with her husband for work, she seeks answers that were long ago left, answers that end up opening more doors and questions. This was a wonderful chick lit read that took you on travels to wonderful destinations, it followed journeys of love and changing friendships, and most of all - is Octavias first love still waiting for her? The characters are fabously developed, and you feel like you are going through the journeys with them. This is the first novel i have read by Kerry Fisher and i loved it, it was really the book to start to get me into the holiday spirit.